Lucy and her family came to Kampala from the North during Uganda’s devastating civil war. 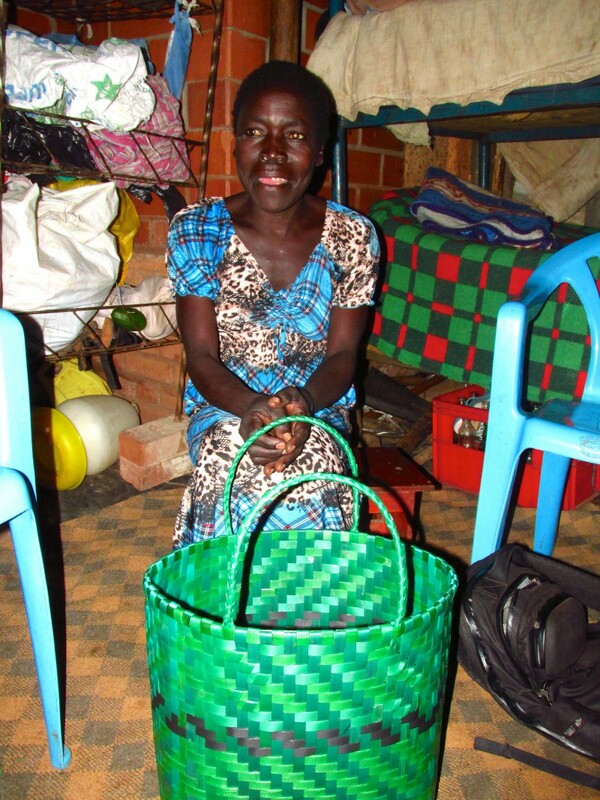 After settling in Nakawa, Lucy’s husband left her with 6 children and two dependents in her care. Lucy, overnight, became a single parent to a large household and had to act swiftly. Lucy connected with the community based mother’s group the Needy Support Center and it changed her life “both practically and spiritually”. The Centre formed as a community response to support Northerners fleeing the war and have helped countless women and men find new homes, new work and new lives. CAP/AIDs and CAP/AIDS Uganda connected with them to expand their amazing work through a multi-year Sustainable Livelihoods Project – a project focused on livelihood training, peer to peer health training and start up supports for business. Through this program Lucy started a joint business venture with other Needy Support Centre members in the community making and selling Simsim paste; this income generating activity has significantly improved her livelihood. Simsim paste is a Ugandan specialty used in many dishes consisting of ground sesame seeds. Members of the Needy Support Centre used to live together in Nakawa headquarters before they were forcibly evicted and displaced from their homes for the first time in 2012 (many others have been forcibly evicted and displaced several times since). Despite the Needy Support Centre members being separated from each other and scattered around the area, those remaining still manage to come together as a group. Lucy hopes to be able to expand her Simsim paste business as she, and the group’s members rebuild foundations. The evictions stand as stark reminders as to how fragile and vulnerable informal settlements are, increasing people’s vulnerabilities to shocks all the more. Currently CAP/AIDS is working with the group to help rebuild their capacity to respond to community needs. Lucy explains that the Needy Support Centre gave needy people an advantage when they were desperate. She is very proud that one of her daughters has recently graduated university. She is so grateful for the support they have received and for the impact it has had on the livelihoods of her and her children. works in partnership with African communities to resist, survive and overcome HIV/AIDS.